Butterfly loved her doting Uncle Sammie, who taught her how to cut hair. 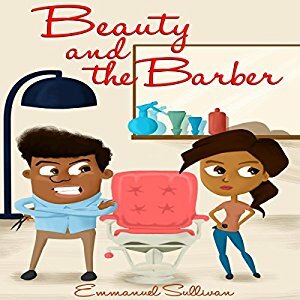 She’s happy developing her modeling career while styling hair, when she finds out that Uncle Sammie is dead – and has left his barbershop to her. What seems like a blessing soon turns into a nightmare. The neglected barbershop needs a lot of work, is taken over by churchgoers on Sundays, and has angry upstairs tenants. Worse, Kelwyn, the charming and handsome owner of the hair salon across the street, seems determined to put her out of business using any shady trick in the book. No sooner has Butterfly made peace with Kelwyn than she falls for him. But is she falling for another trick? As Kelwyn’s secrets are revealed, his hated brother Wilberton appears and begins bullying Butterfly’s barbershop out of business. Butterfly has to wonder, why bother? Especially with the headaches of business ownership and the heartaches of relationships? But Butterfly has more steel than people believe.